But I surely need my caffeine fix like many others. So I have been drinking iced tea for a long time. Iced tea is easy to make, comes in various flavors, and, if unsweetened, usually has Zero calories. So I drink iced tea the way some people drink too much Diet Coke. For years living in Livingston, NJ, I passed a Dunkin Donuts on the way to work and would drink their large black unsweetened iced tea with a lemon in it. When it was on sale for 99 cents, it was a great time…and a bit jittery. 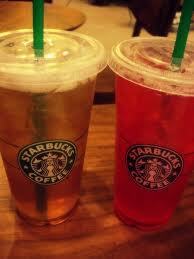 Starbucks lagged behind, but they introduced their shaken iced tea. The problem? Their “venti” wasn’t that large. Until they introduced the “treinta.” Now we have potential competition. But Dunkin Donuts was more convenient. Now I am in New York City. The Starbucks and the Dunkin Donuts are across the street from each other. 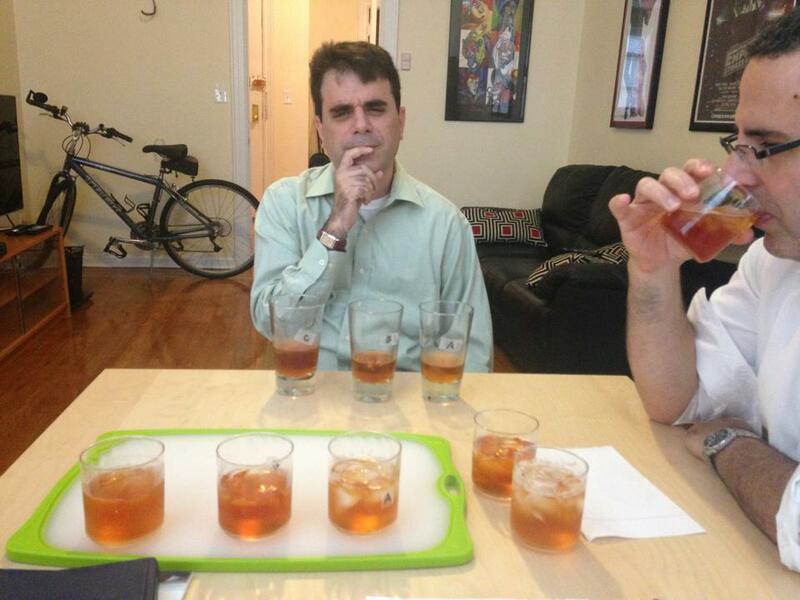 They each have their merits in other areas, but which Iced Tea was best. Without knowing the source, we each compared the 3 teas and ranked them 1-3. When is the next Dunkin Donuts 99 cent sale? The Dunkin Donut app offers no free drinks or free refills. Starbucks used to have better food. And they have healthier food. But they changed all their sandwiches recently and almost all of them have pork now. Dunkin Donuts has better food options in general, but I doubt any are healthy. They are a DONUT place. My house has lousy food options. 2 of us chose Dunkin Donuts as the best. It came in 2nd on the other ballot. For those of you in California, Dunkin Donuts is coming in 2015. What do you think? Declare your Iced Tea preferences in the comments. This entry was posted in Uncategorized and tagged Diet Coke, Dunkin Donuts, Iced Tea, Starbucks, Taste Test. Convenience is huge, if I don’t make it at home. With Starbucks and DD you have to park and spaces are not always available. McDonalds is the winner for sweet tea – you dob’t have to get out of the car. If you get too jittery – try decaf , at least at home. I’m firmly also in the Dunkin Donuts camp. Black iced tea with one lemon and one Sweet n’ Low. Although homemade Lipton Iced Tea is a close second, but like you said, it’s only at home, so it’s not really an option when you’re not home. Not a huge fan of Starbucks iced tea. Probably because I don’t drink coffee also. I like my iced tea without ice so I’m not suaded by the results. 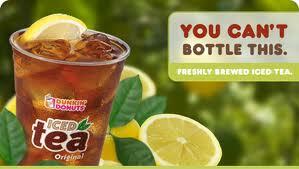 When I left NYC, I moved to the Atlanta, Georgia area where iced tea is the national drink along with Coca Cola. I like it a lot and drink some almost every day. I like Snapple and Arizona iced teas in varieties as close to plain as possible. As in no peach, watermelon, mango, etc. Here in California, we need more donut shops like a hole in the head. I like both DD Iced Tea and DD iced coffee better….how about the price? 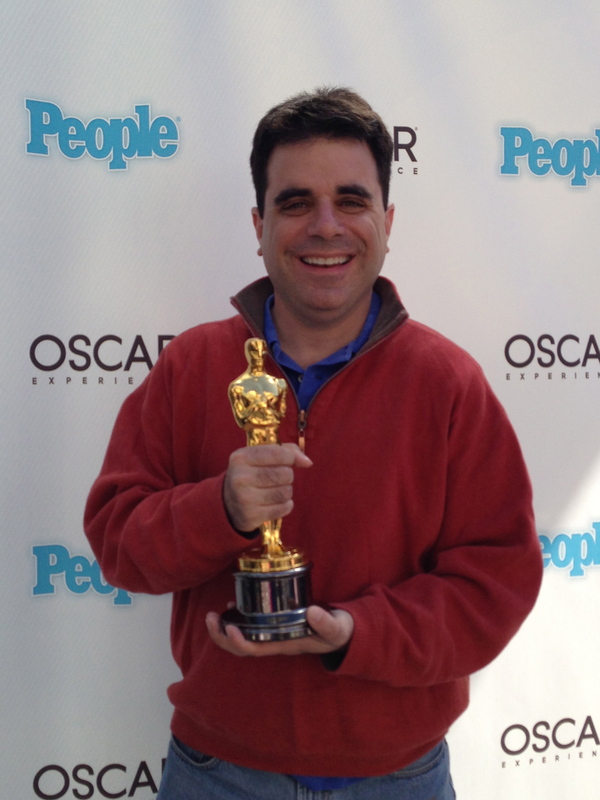 I have to believe DD is less expensive – creates a win-win.